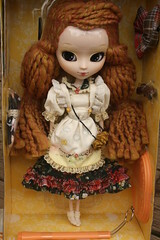 Amarri has been here almost a week but I didn’t open her up until this past weekend due to our sucky weather lately, that and I just have not really been feeling as creative lately with dolls in general ^^; Amarri was a gift, I was offered a doll so I sent a small list of choices and asked for a surprise I’m pretty happy that Amarri turned out to be the one that was chose. 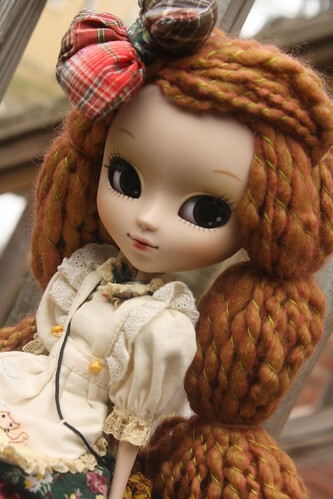 I named Amarri Ragdoll because she reminds me of the old style rag dolls. 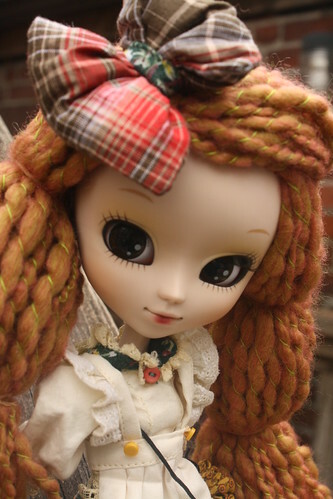 Amarri is a very unique pullip she has yarn hair and a very unusual face up. Amarri’s stock is pretty impressive her apron is actually embroidered, her shoes annoy the hell out of me though as they are slightly too large for her feet. 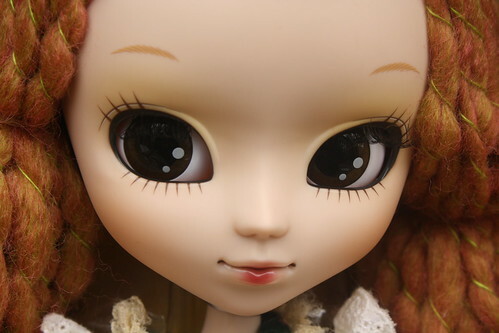 Here’s a close up of Amarri’s face up, her eye make up reminds me of some of the older 2005 girls well except those eyebrows. At first I was unsure about the eyebrows wishing that they had done away with them entirely instead of keeping them as is but they are growing on me (kind of reminds me of Fanatica whose eyebrows were also a bit weird). 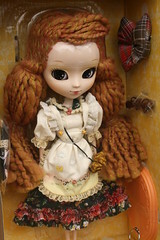 The yarn hair is soft, this is only the second time Groove has ever attempted such a thing Scarecrow being the first. 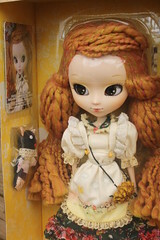 I like her yarn wig a lot more than Scarecrow’s the quality of the yarn just seems to be a lot nicer. 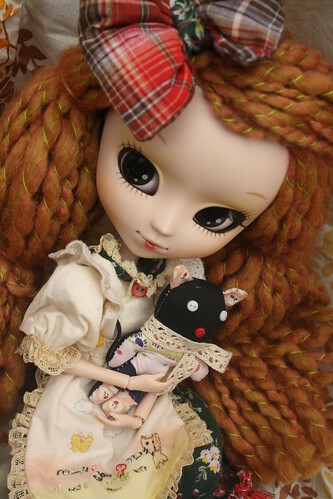 This entry was posted in 2011- 365 Toy Project, Doll, Pullip and tagged amarri, groove inc, Pullip. Bookmark the permalink.